What if you could find a coffee maker that can produce rich, smooth coffee exactly as you like it? And be built solidly of stainless steel with nothing to break, rot or perish? And be easy to use and clean. And, of course, be priced so as to be within easy reach of anyone's budget? A tough call? Then let me tell you about the Secura 1500ML French press coffee maker. Easy to Use? Easy to Clean? The great thing about a French press is that you have total control over the strength and richness of the coffee you drink. If you like strong coffee then you can increase the ratio of coffee grinds to water. For a richer taste you can vary the time you steep for. Experiment until you have the balance right. As long as your coffee grinds are of good quality then you'll easily produce richer coffee than with, for example, a drip type coffee maker costing three or four times as much. As for simplicity, there's no control panel and no buttons to press. Just your own judgement to use. So much for French presses in general. But what about the Secura 1500ML French press? Let's see what you can expect from it. What's The Build Quality of the Secura 1500ML French Press? The main material it's made from is 18/10 stainless steel. That's top quality steel. Virtually unbreakable. There isn't any plastic or rubber to wear out or perish. And in case you're concerned about it, there's no BPA (even though it is made in China). It has a stainless steel double-wall body which gives it a superior thermal ability compared to glass or ceramics. So your coffee will stay hot for longer. 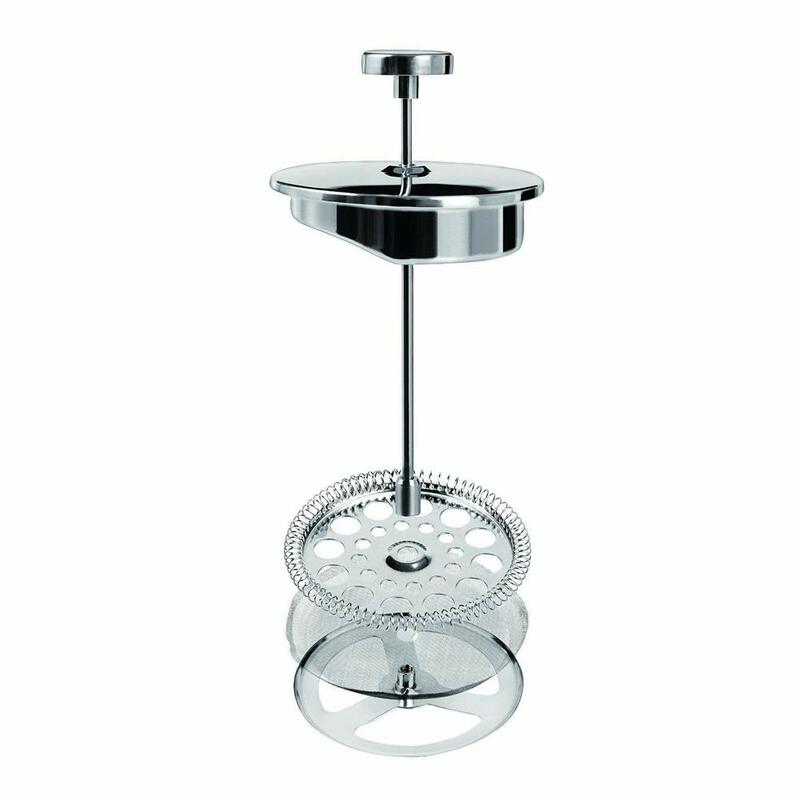 The Secura 1500ML has a layered filter system that is also made of stainless steel. The layering has three filters and is cleverly designed to make it easy to produce coffee with a smooth, full-bodied flavor. It will catch even the smallest coffee grinds and prevent them from ending up in your cup. The filters won't wear out or become discolored (as long as you clean them periodically). The only reason you'd want to order replacements is if you lose or accidentally damage the originals. 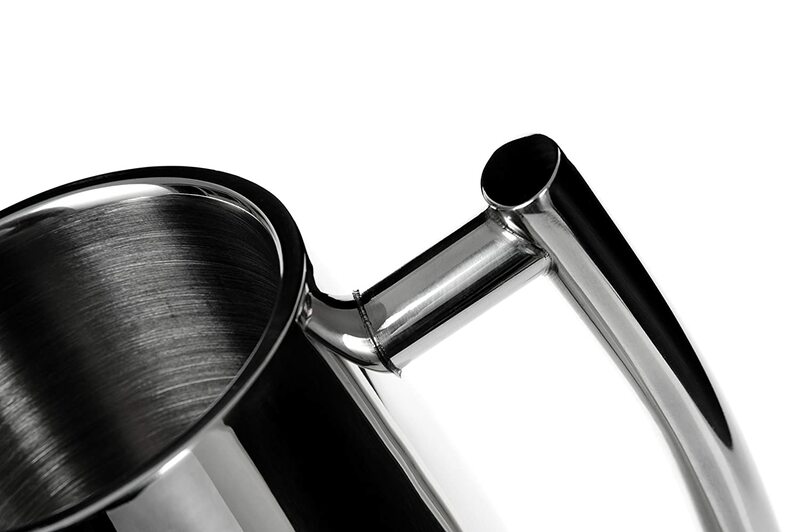 The handle, too, is of 18/10 stainless steel. Although it's attached to the outer layer only of the body, it's secure and can easily handle the weight of 50 ounces of liquid. It's also cool to the touch (as is the knob right at the top), even when the contents of the coffee maker are at their hottest. So no scalded fingers. One weak point of French presses generally is that heat can escape from where the lid joins the body on account of the seal being less than perfect. The seal on this French press is very snug and will play its part in keeping your coffee hot for at least an hour. Probably an hour and a half, depending on the ambient temperature. And you can rotate the lid to stop heat escaping via the spout so as to keep your coffee hot for even longer. 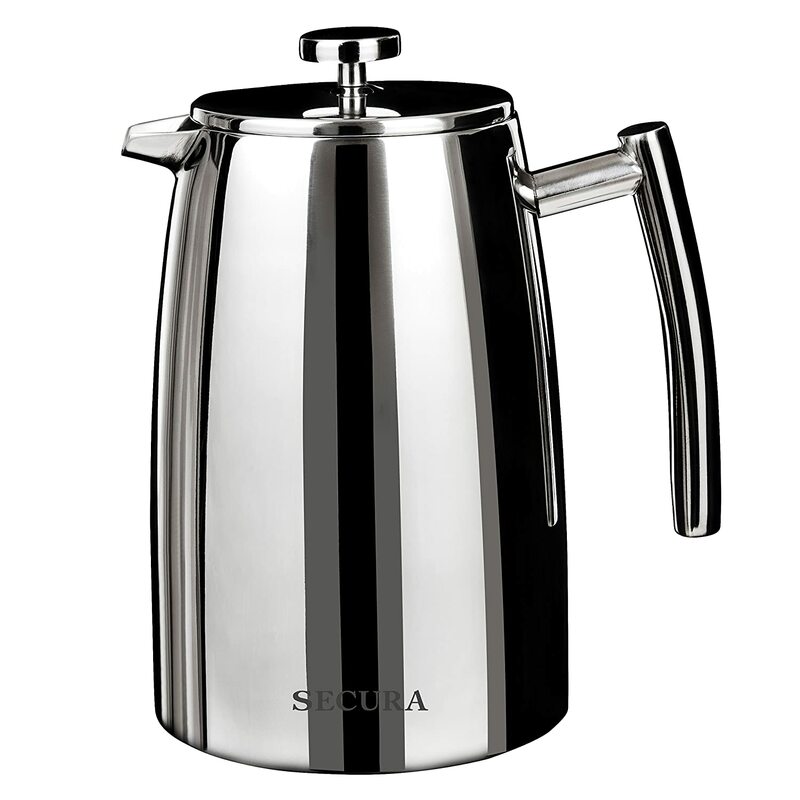 Is the Secura 1500ML French Press Easy to Use? Generally speaking, French presses are easy to use. All you do is place the coffee grinds in the receptacle, pour the hot water in and (perhaps after a short delay, depending on your own particular method) press the plunger down. Sometimes the plunger can stick or cause the coffee to spill over onto your work surface. In my research I found no evidence that either of these difficulties were a problem for users of the Secura 1500ML. 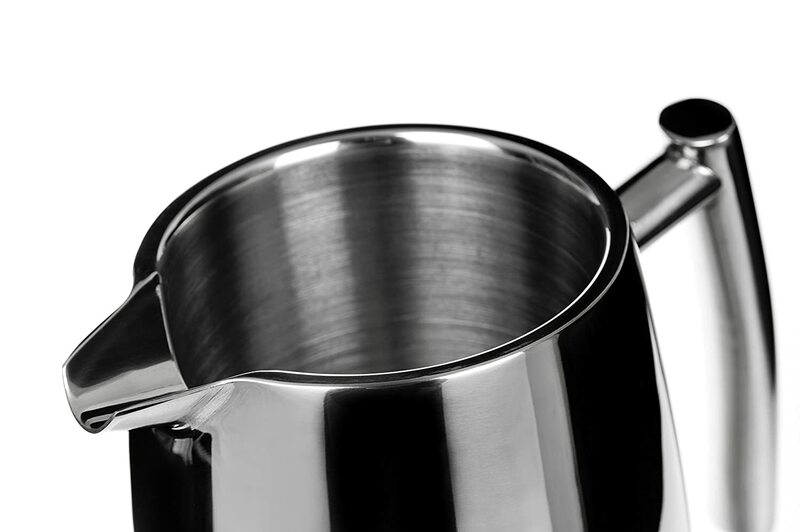 The pour spout is about 1.5 inches wide at its opening, which is ideal for easy pouring. And you can brew exactly the amount of coffee that you want. With this French press, you can brew from one cup right up to four or five cups. It just depends on whether you take milk or not. It's really difficult to think of anything about this press that is anything other than user friendly. Some users take it camping with them, and that speaks for itself. This is where so many coffee makers, not just French presses, that are great products in all other respects, fall down. Not with this press. The instructions are very simple. Everything can be taken apart for cleaning very easily. There are no electrical connections and everything is stainless steel. The whole item is dishwasher safe. All the same, here is a link to a post explaining how to clean a coffee maker easily and effectively. If you read the reviews on Amazon.com you'll find one five-star rating after another. Users of this French press overwhelmingly love it and have nothing but kind words for it. Probably the most popular feature is the stainless steel construction. That, together with the double-wall insulation, means your coffee is kept hot for longer than with any comparable press. Having the ability to produce rich, full flavored coffee exactly to individual taste. That's another thing that users love about the Secura 1500ML. You'll find one or two minor issues mentioned if you look long enough. Such as the filters sometimes trapping grinds between layers, making it more difficult than it should be to clean them. But such instances don't stop this French press from boasting an average score of well over 4.5 from over 700 reviews. Nearly 90 per cent of reviewers have awarded the full five stars. Don't let the low price deceive you. Probably some potential purchasers of the Secura 1500ML overlook it on account of just that. Which is a pity, because this French press produces delicious coffee exactly to individual taste. It will outlast similar presses on account of its solid, stainless steel build. And it's easy to use and clean. The simple but effective filter system, though sometimes requiring a little more care than usual, produces exceptionally smooth coffee. Coffee of a smoothness and richness that you'll only find in other coffee makers costing several times more. The Secura 1500ML is a modestly priced French press that packs one powerful punch. It's extremely difficult to find anything bad to say about it. We have no hesitation in giving this coffee maker our full recommendation.